These best luxury hotels in Ubud include the finest hotels and villa resorts that gild the lush green mountain valleys of this favourite upland destination. Most of these hotels feature impressive locally inspired architecture and are built to blend into the natural surroundings. You’ll find the most romantic pool villas where you can wake up to the sounds of nature, together with dining spots that serve world-class cuisine with a view. These most popular 5-star hotels in Ubud also have winning spa facilities where you can unwind with a selection of soothing Balinese treatments. And for the adventurous, there are exciting guest activities such as village tours and rice field treks that let you get closer to the exotic local culture. 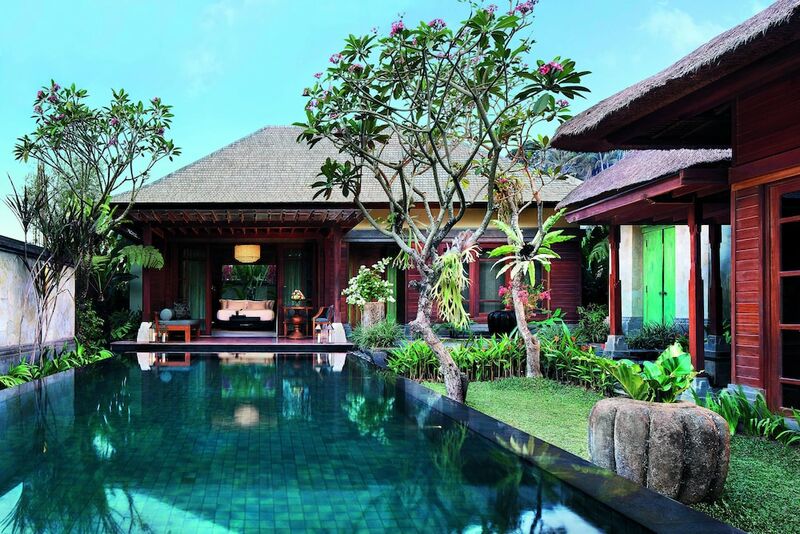 Plan your stay ahead for a most memorable stay with these luxurious options up in the cultural centre of Bali.